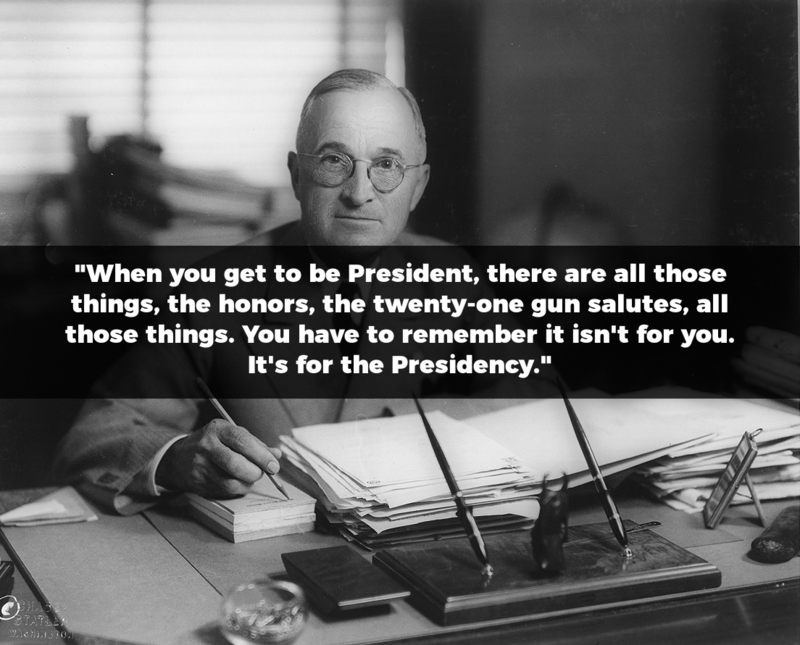 This series of patriotic quotes comes from the writings and speeches of the 45 Presidents of the United States. 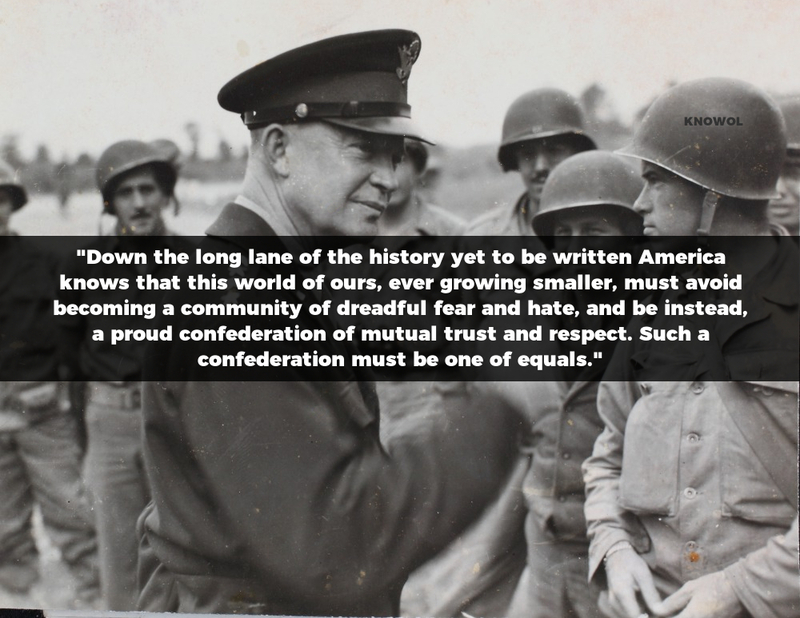 We have focused on quotes regarding ideals that all Americans can agree upon. Each quote has been accurately sourced and includes a link to a verifiable source of the statement. 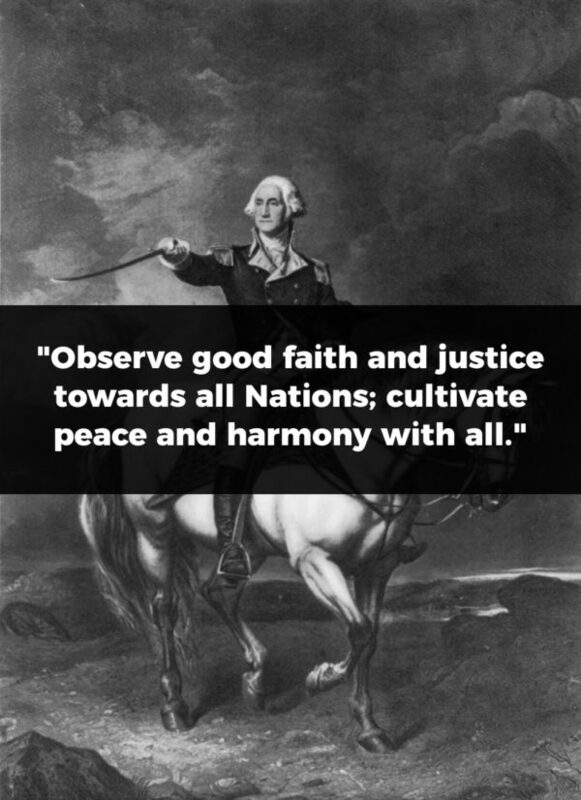 Source: Washington’s Farewell Address, September 17, 1796. Source: Notes for a speech in Braintree, MA, Spring, 1772. 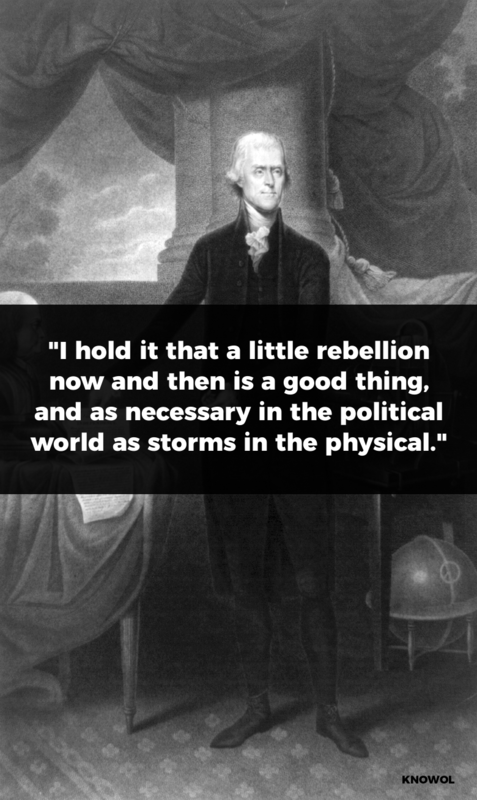 “I hold it that a little rebellion now and then is a good thing, and as necessary in the political world as storms in the physical. 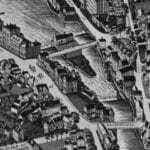 Unsuccessful rebellions indeed generally establish the incroachments on the rights of the people which have produced them. An observation of this truth should render honest republican governors so mild in their punishment of rebellions, as not to discourage them too much. 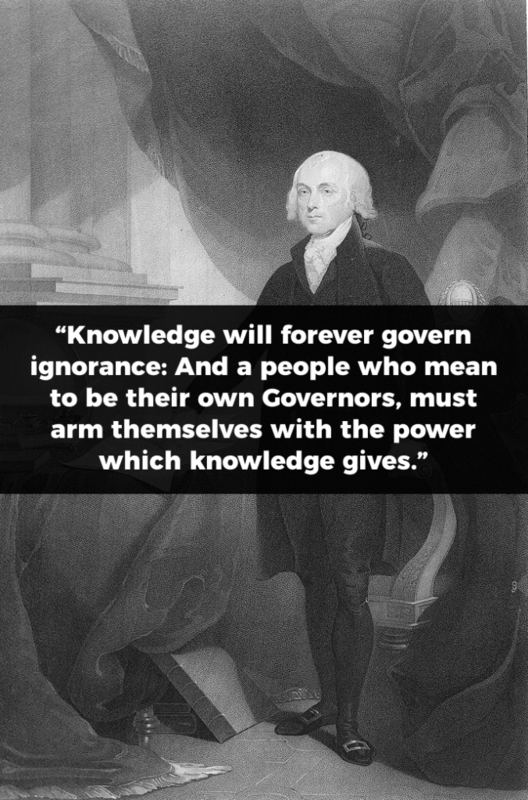 Source: Letter from Thomas Jefferson to James Madison, January 30, 1787. “A popular Government, without popular information, or the means of acquiring it, is but a Prologue to a Farce or a Tragedy; or, perhaps both. 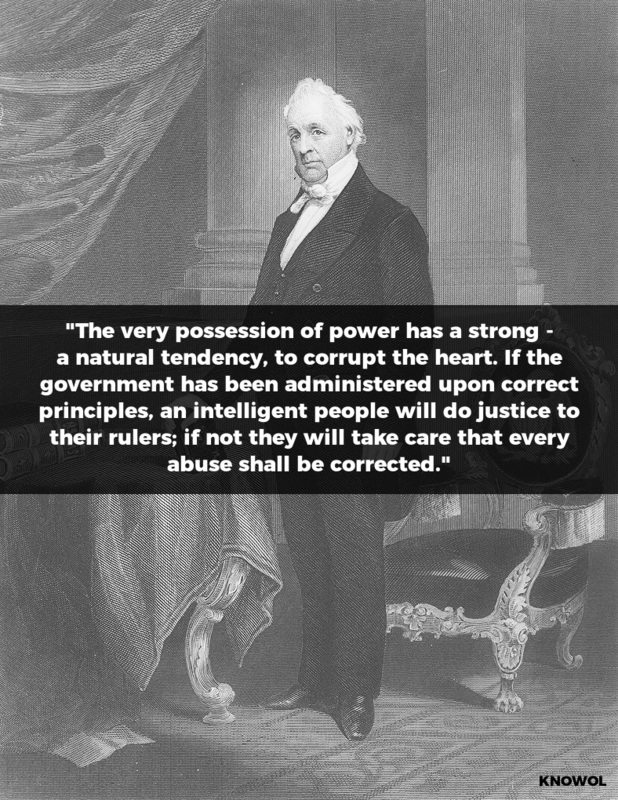 Source: Letter from James Madison to W. T. Barry, August 4, 1822. 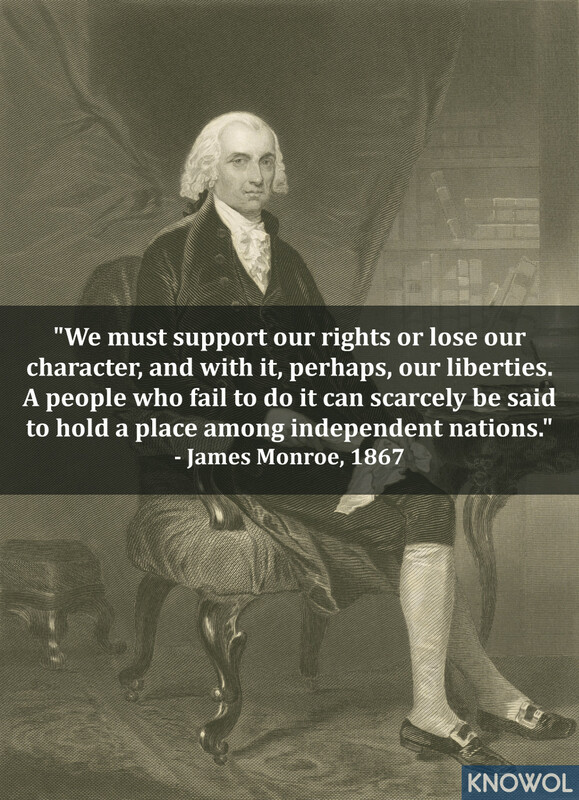 “We must support our rights or lose our character, and with it, perhaps, our liberties. A people who fail to do it can scarcely be said to hold a place among independent nations. 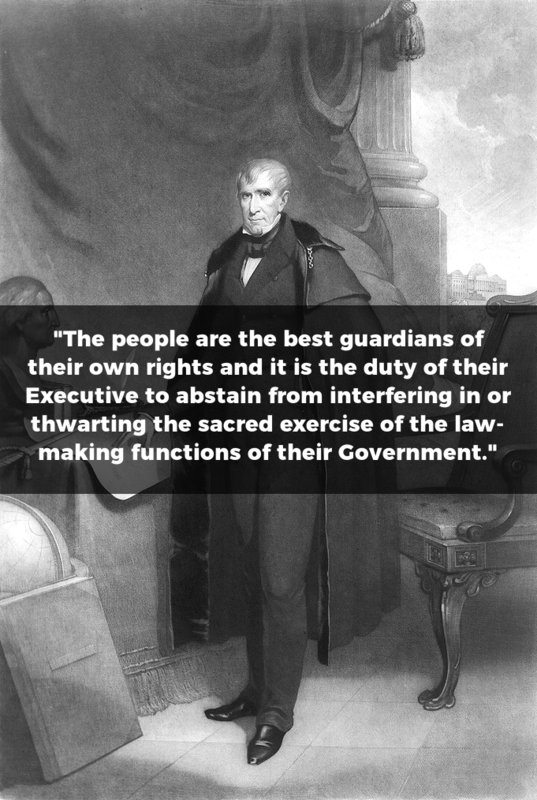 Source: The People the Sovereigns, James Monroe, 1867. 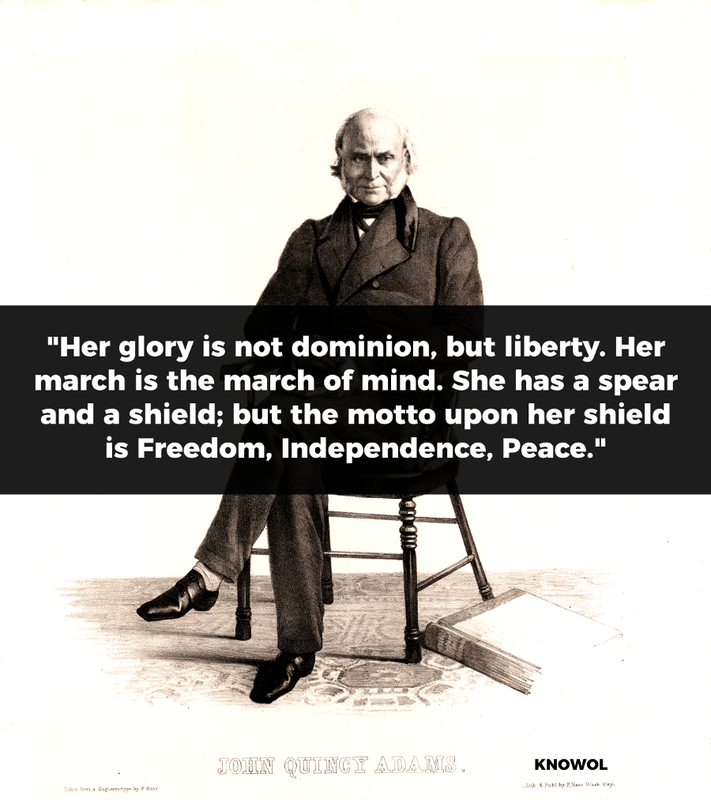 Source: Speech delivered at the request of the committee of arrangements for celebrating the anniversary of Independence, July 4, 1821. 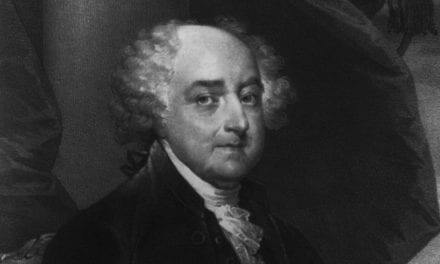 “It is to be regretted that the rich and powerful too often bend the acts of government to their selfish purposes. 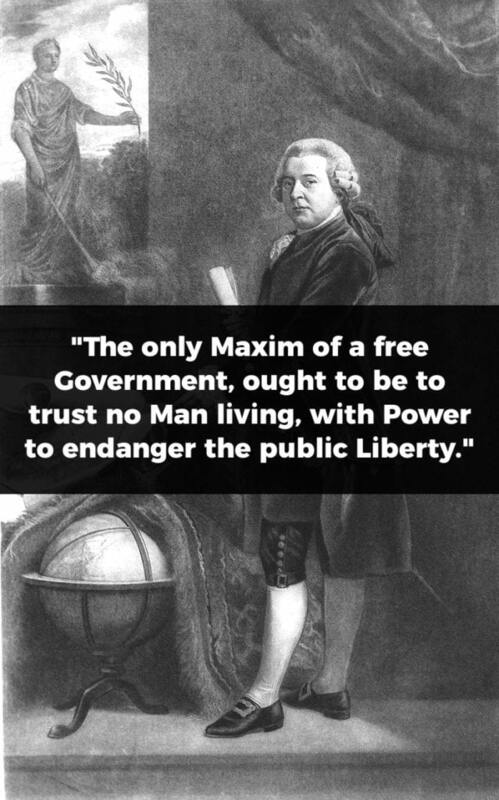 Distinctions in society will always exist under every just government. Equality of talents, of education, or of wealth can not be produced by human institutions. 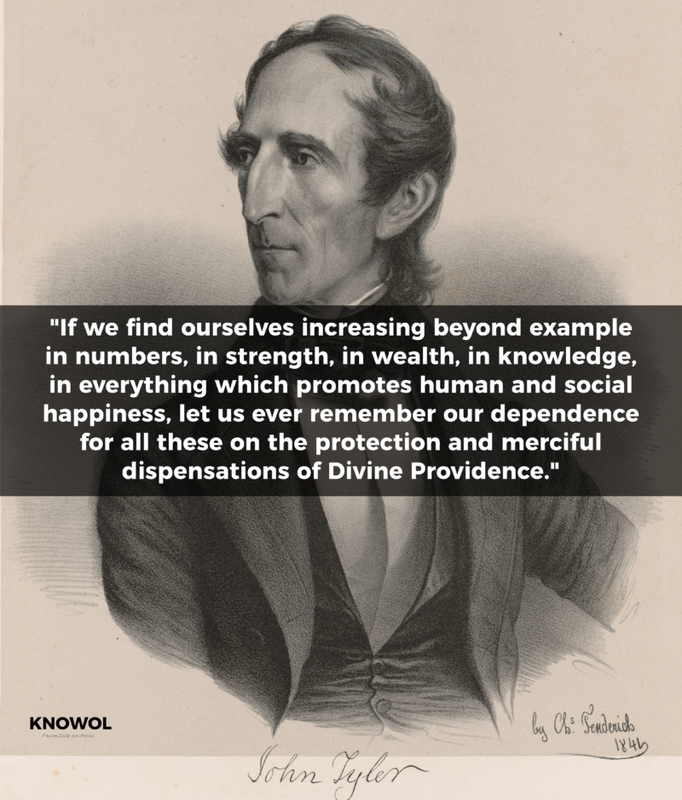 In the full enjoyment of the gifts of Heaven and the fruits of superior industry, economy, and virtue, every man is equally entitled to protection by law; but when the laws undertake to add to these natural and just advantages artificial distinctions, to grant titles, gratuities, and exclusive privileges, to make the rich richer and the potent more powerful, the humble members of society-the farmers, mechanics, and laborers-who have neither the time nor the means of securing like favors to themselves, have a right to complain of the injustice of their Government. 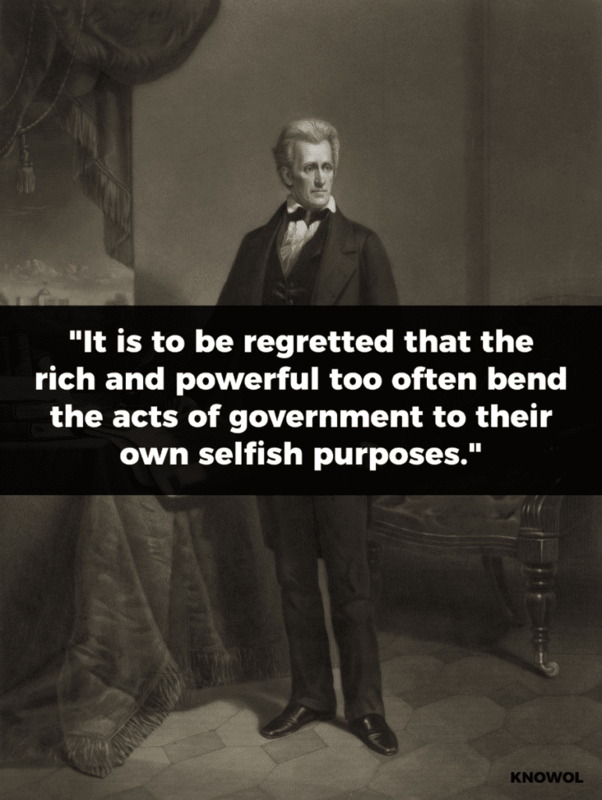 Source: President Jackson’s veto message regarding the Bank of the United States; July 10, 1832. 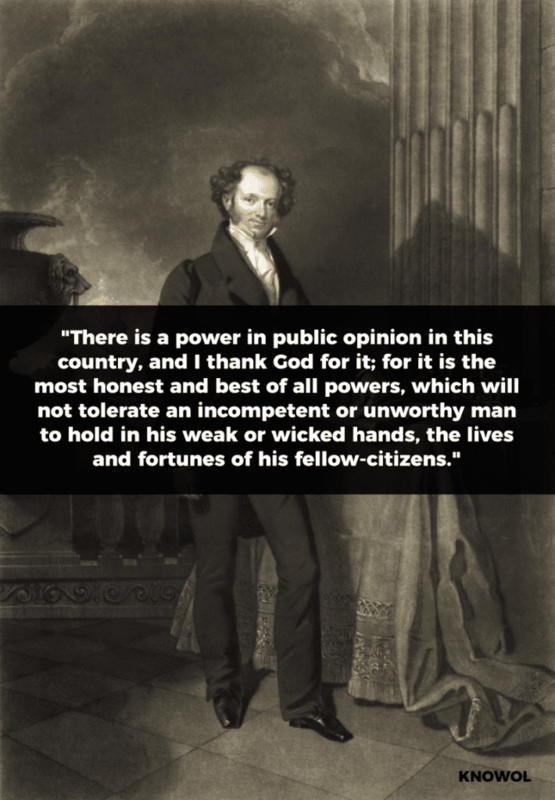 “There is a power in public opinion in this country, and I thank God for it; for it is the most honest and best of all powers, which will not tolerate an incompetent or unworthy man to hold in his weak or wicked hands, the lives and fortunes of his fellow-citizens. 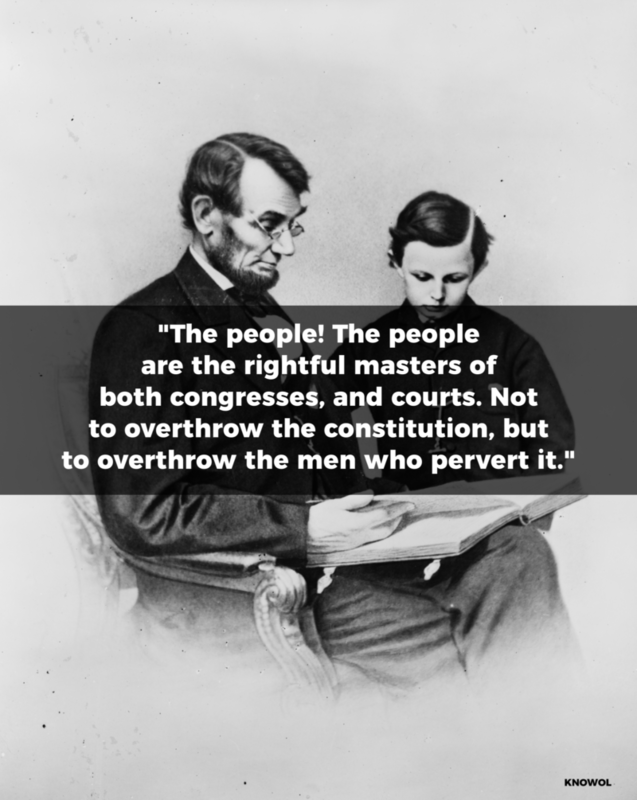 This power operates alike upon the government and the incumbent. The former dare not disregard it, and the latter can have no adequate wish that they should, when he once knows the estimation in which he is held. 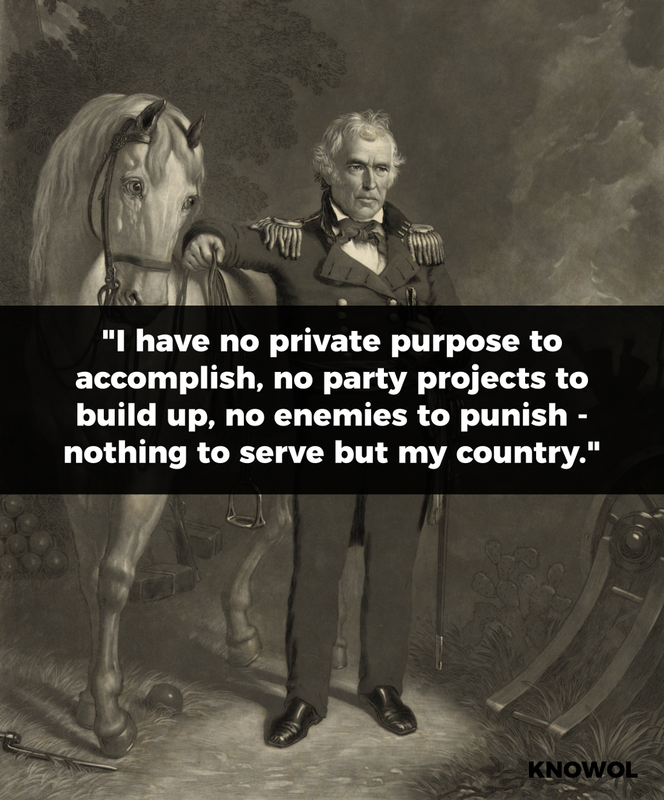 Source: General Harrison’s Speech at Dayton, Ohio, Sept. 10, 1840. Source: John Tyler’s First Annual Message, December 7, 1841. 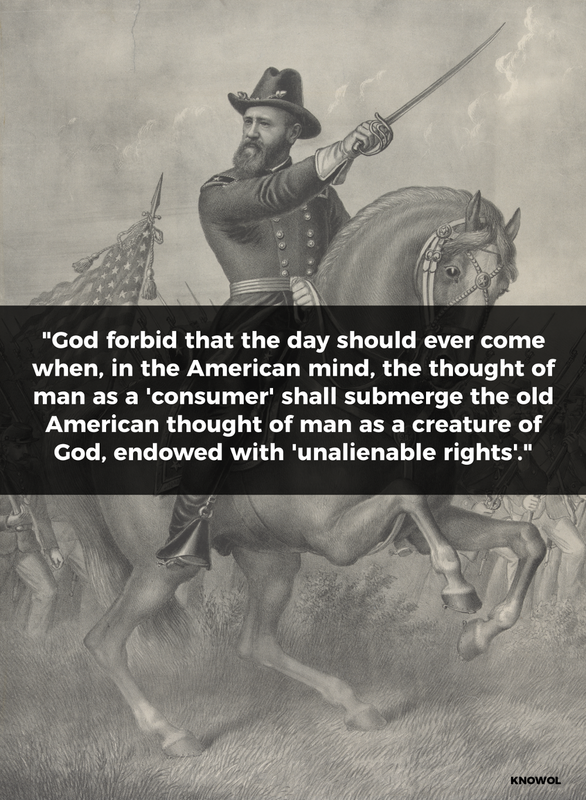 Source: Diary Entry, December 16, 1846. 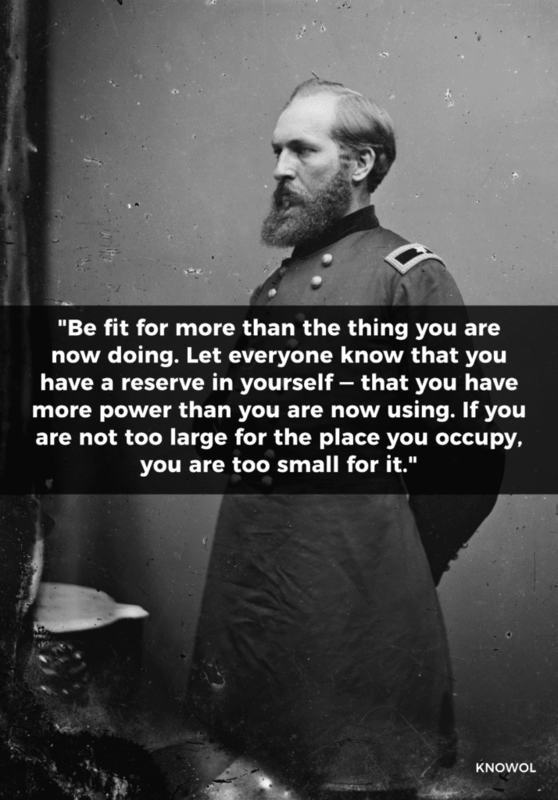 Source: Letter to J.S. 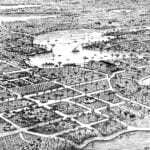 Allison, April 22, 1848. 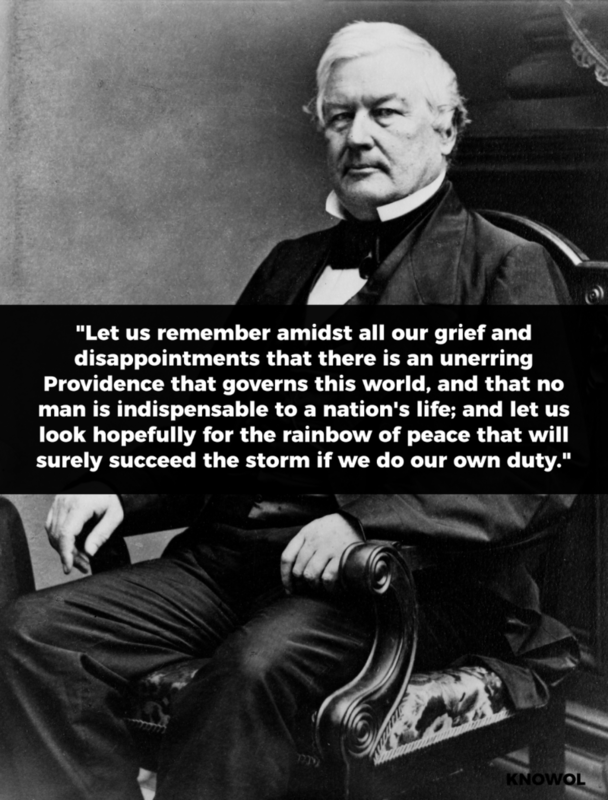 Source: Millard Fillmore Papers, January 1, 1907, pp. 108. 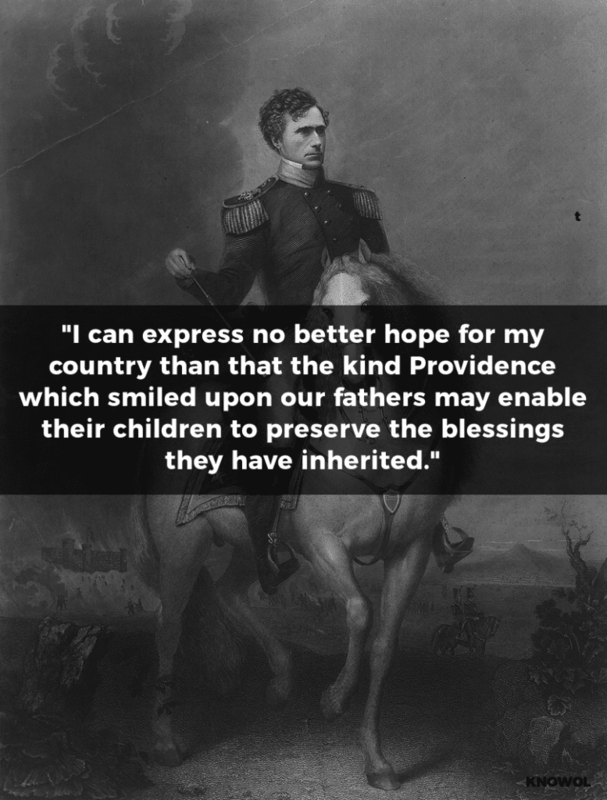 Source: Franklin Pierce, Inaugural Address, March 4, 1853. 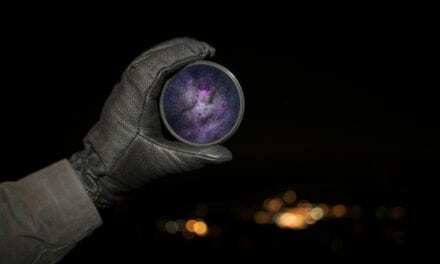 “Liberty, sir, is a precious gift, which can never long be enjoyed to any people, without the most watchful jealousy. It is Hesperian fruit, which the ever-wakeful jealousy of the people can alone preserve. 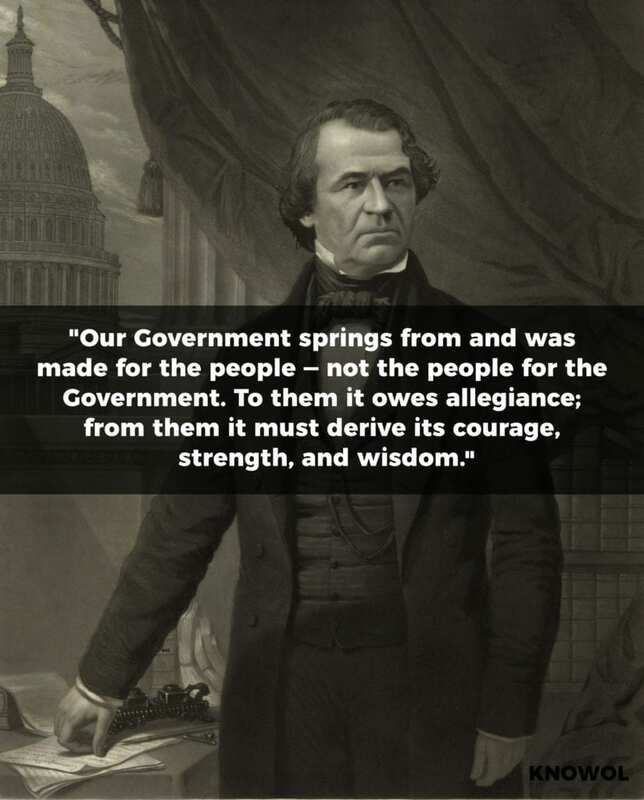 “Our Government springs from and was made for the people — not the people for the Government. To them it owes allegiance; from them it must derive its courage, strength, and wisdom. But while the Government is thus bound to defer to the people, from whom it derives its existence, it should, from the very consideration of its origin, be strong in its power of resistance to the establishment of inequalities. Monopolies, perpetuities, and class legislation are contrary to the genius of free government, and ought not to be allowed. 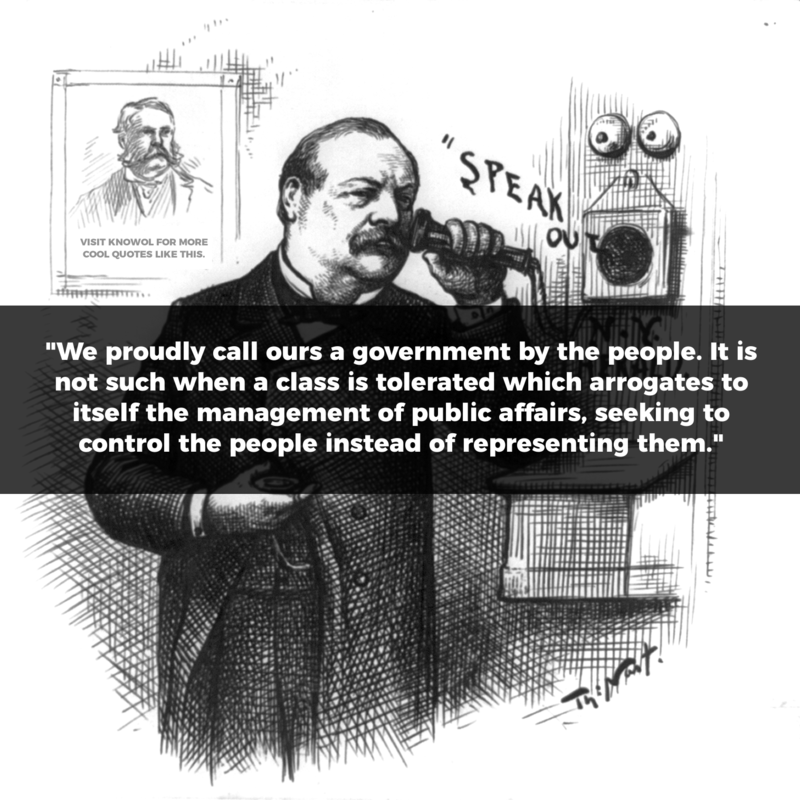 Here there is no room for favored classes or monopolies; the principle of our Government is that of equal laws and freedom of industry. “Education is our greatest present national concern. General education is the best preventive of the evils now most dreaded. 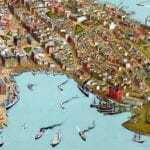 In the civilized countries of the world, the question is how to distribute most generally and equally the property of the world. 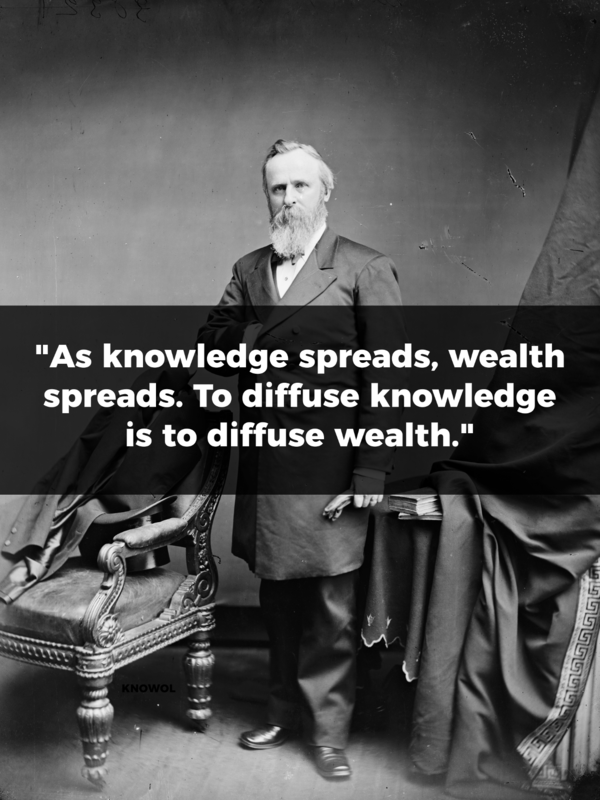 As a rule, where education is most general the distribution of property is most general…. Source: Address Upon Assuming the Office of the President (September 22, 1881). 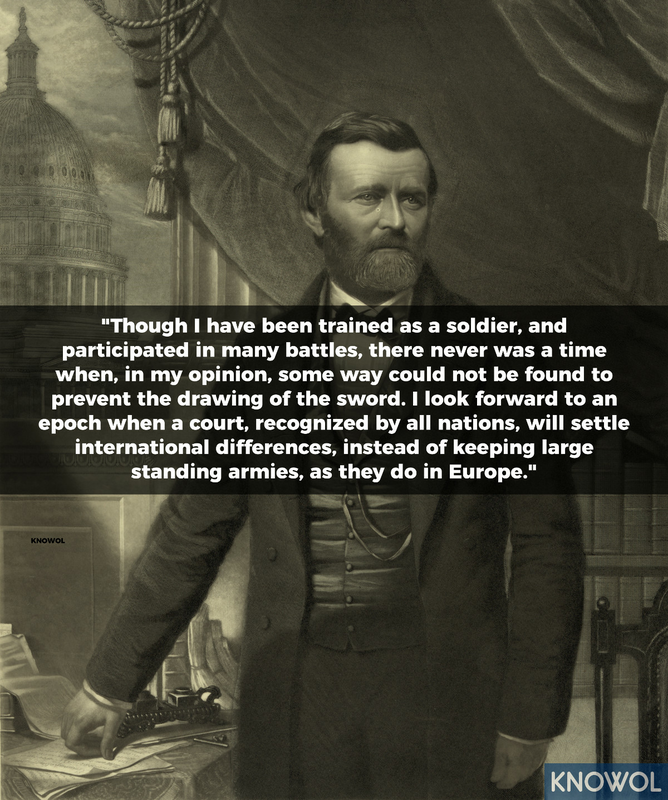 The speech was given in response to James A. Garfield’s assassination when Chester Arthur assumed the role of President. 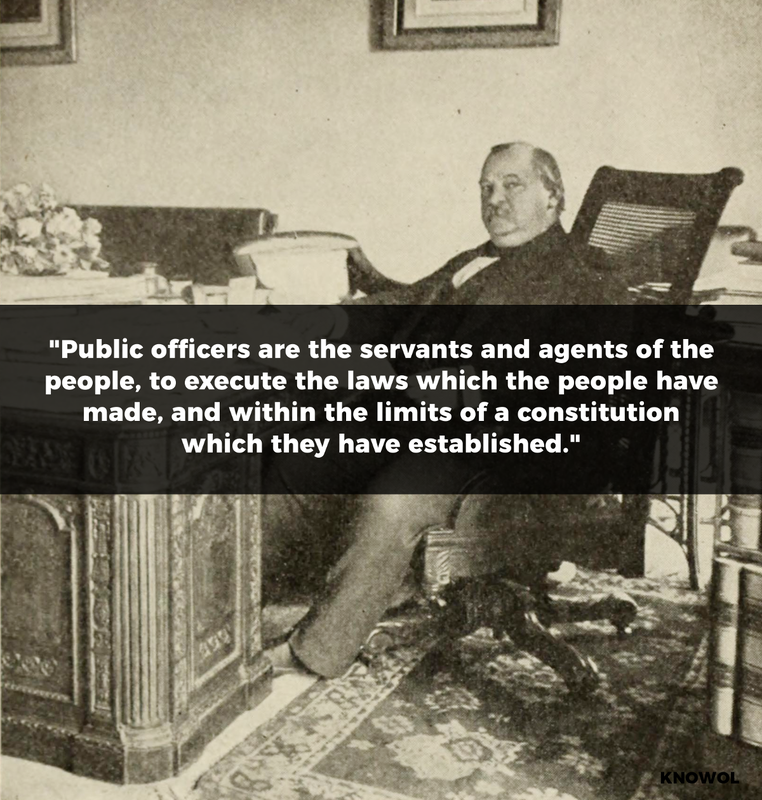 “Public officers are the servants and agents of the people, to execute the laws which the people have made, and within the limits of a constitution which they have established. 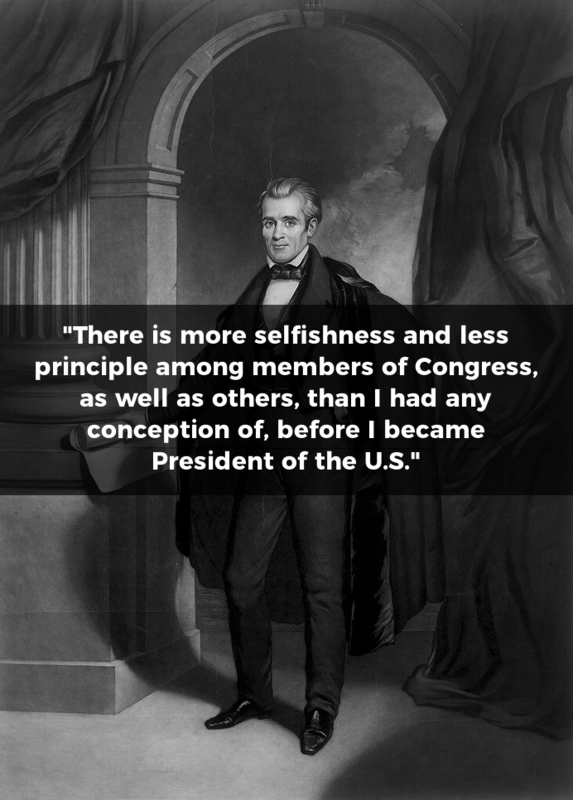 Source: Letter accepting the nomination for governor of New York (October 1882), as quoted in The Presidents of the United States 1789-1894, published in 1895 (pp. 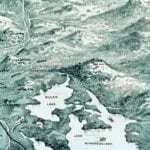 470). 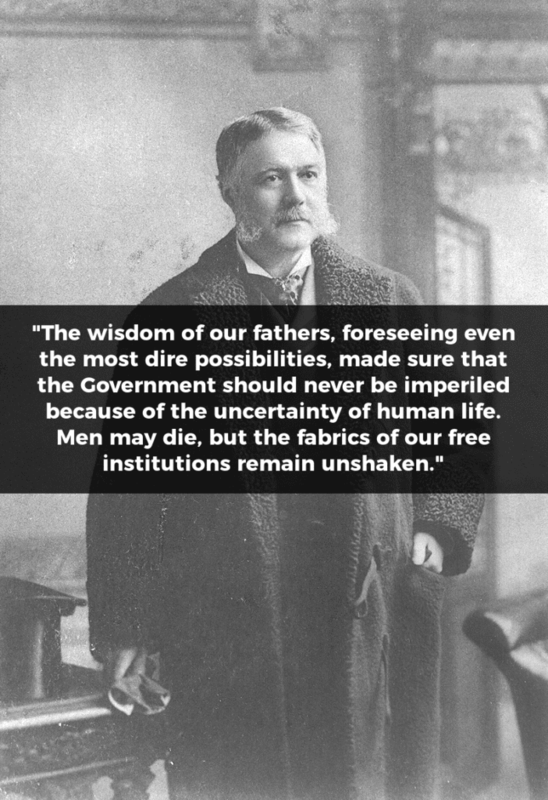 Source: Views of an Ex-president By Benjamin Harrison, 1901, (pp. 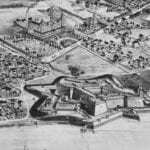 221). Source: Grover Cleveland’s Letter accepting the nomination for President. 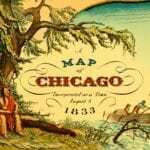 August 18, 1884. 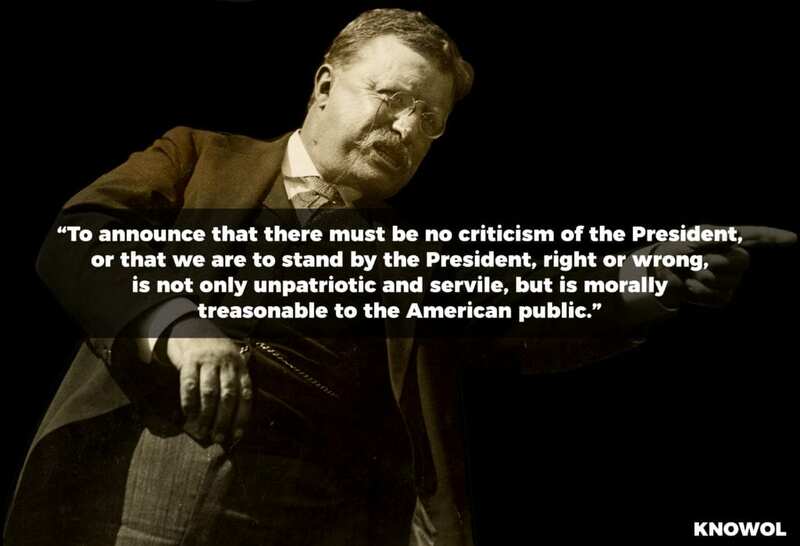 Source: Theodore Roosevelt Essay, “SEDITION, FREE PRESS, AND PERSONAL RULE”. 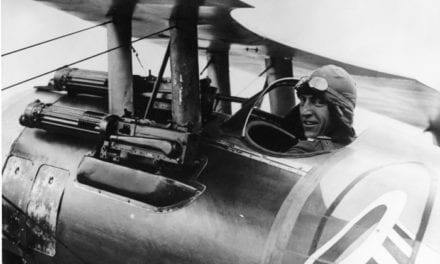 May 7, 1918. 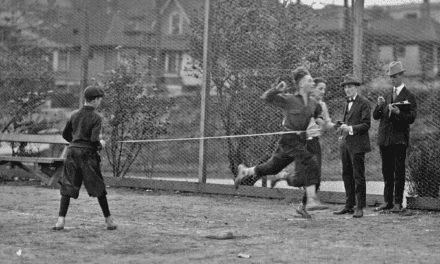 Source: Address at Hotel Fairmont at a Banquet Held By Citizens of San Francisco, October 5, 1909. 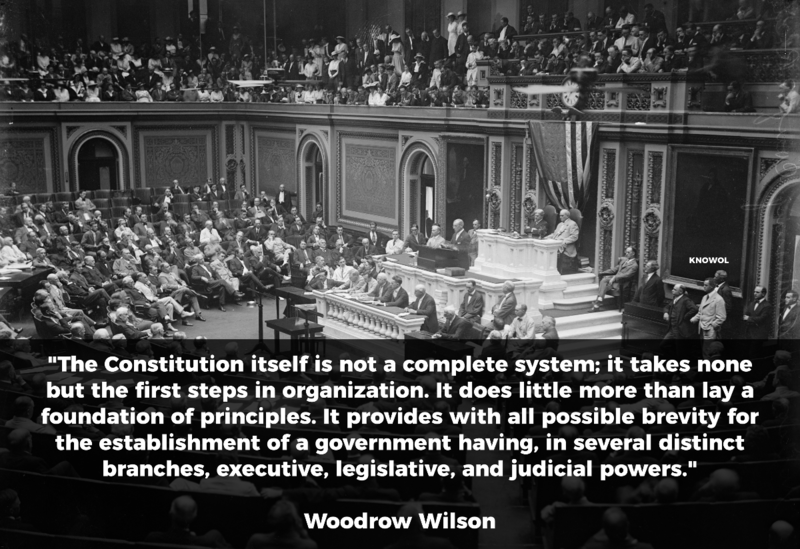 “The Constitution itself is not a complete system; it takes none but the first steps in organization. It does little more than lay a foundation of principles. It provides with all possible brevity for the establishment of a government having, in several distinct branches, executive, legislative, and judicial powers. It vests executive power in a single chief magistrate, for whose election and inauguration it makes carefully definite provision, and whose privileges and prerogatives it defines with succinct clearness; it grants specifically enumerated powers of legislation to a representative Congress, outlining the organization of the two houses of that body and definitely providing for the election of its members, whose number it regulates and the conditions of whose choice it names; and it establishes a Supreme Court with ample authority of constitutional interpretation, prescribing the manner in which its judges shall be appointed and the conditions of their official tenure. 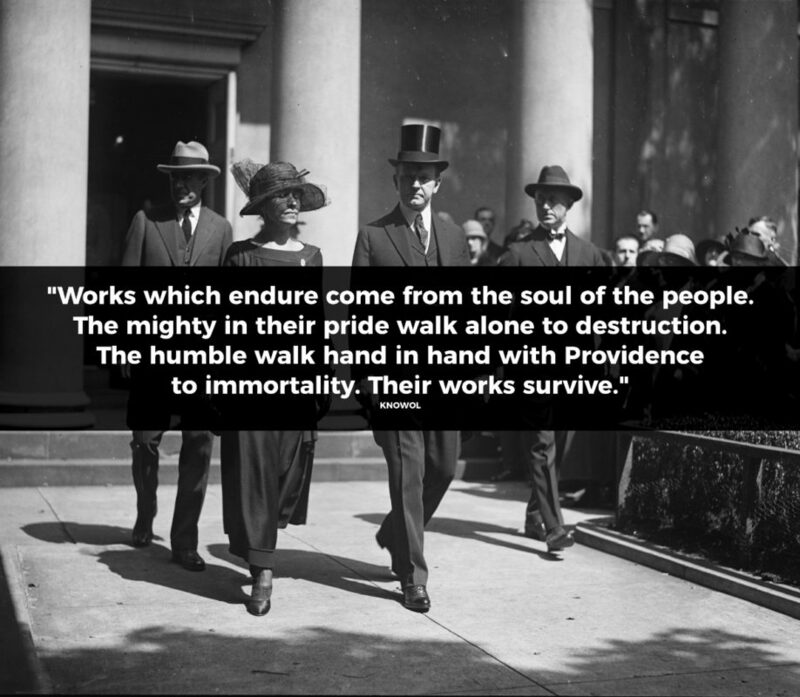 Source: Calvin Coolidge’s Flag Day Speech, May 26, 1919. 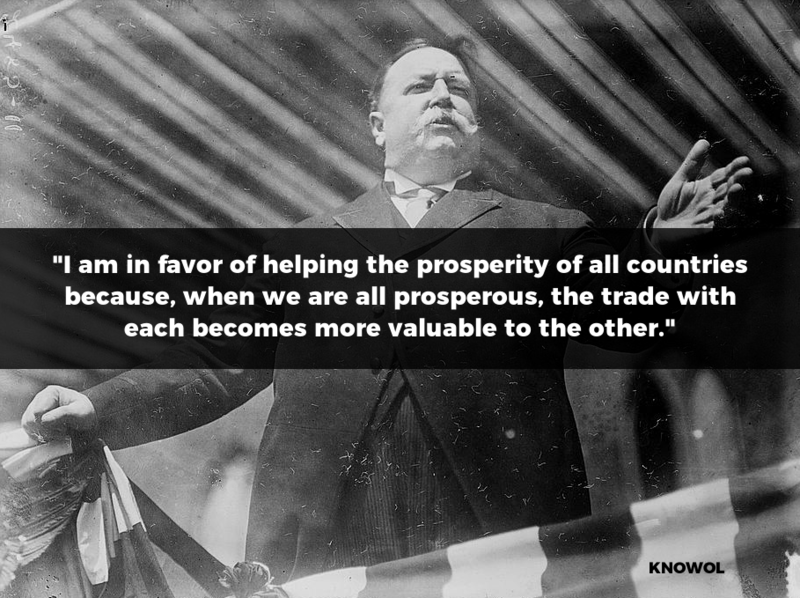 Source: Campaign speech in New York on October 22, 1928. 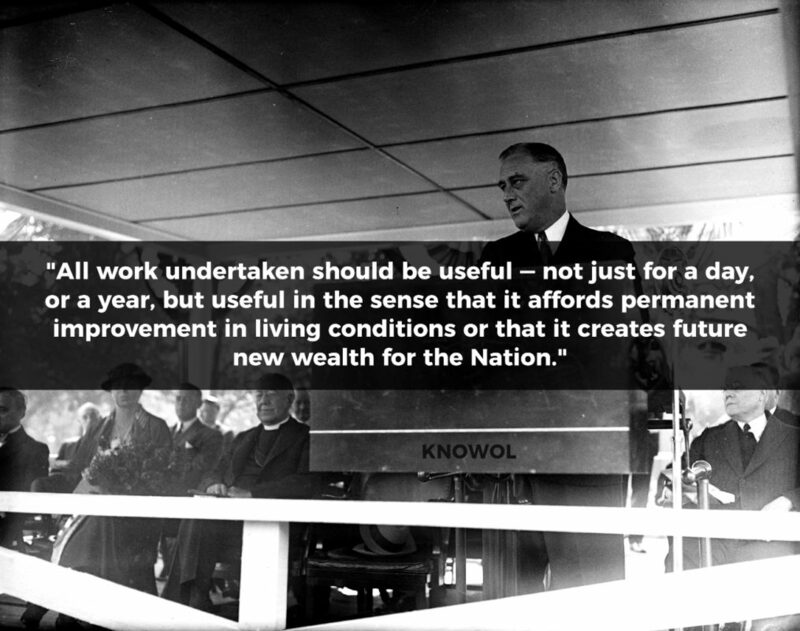 Source: State of the Union Address in 1935. Source: Plain Speaking: An Oral Biography of Harry S. Truman (1974), pp. 228. 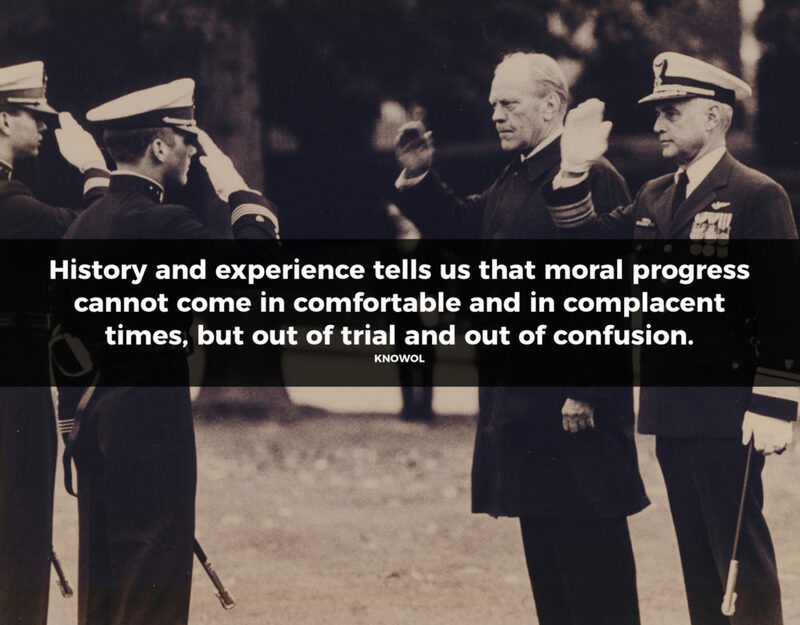 Source: Dwight Eisenhower’s Military-Industrial Complex Speech, 1961. 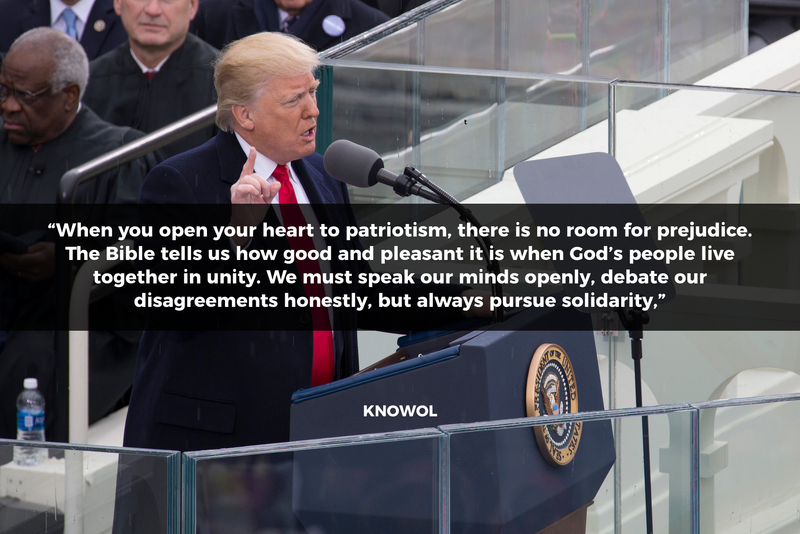 “I believe in an America that is on the march – an America respected by all nations, friends and foes alike – an America that is moving, doing, working, trying – a strong America in a world of peace. 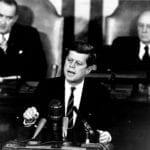 That peace must be based on world law and world order, on the mutual respect of all nations for the rights and powers of others and on a world economy in which no nation lacks the ability to provide a decent standard of living for all of its people. 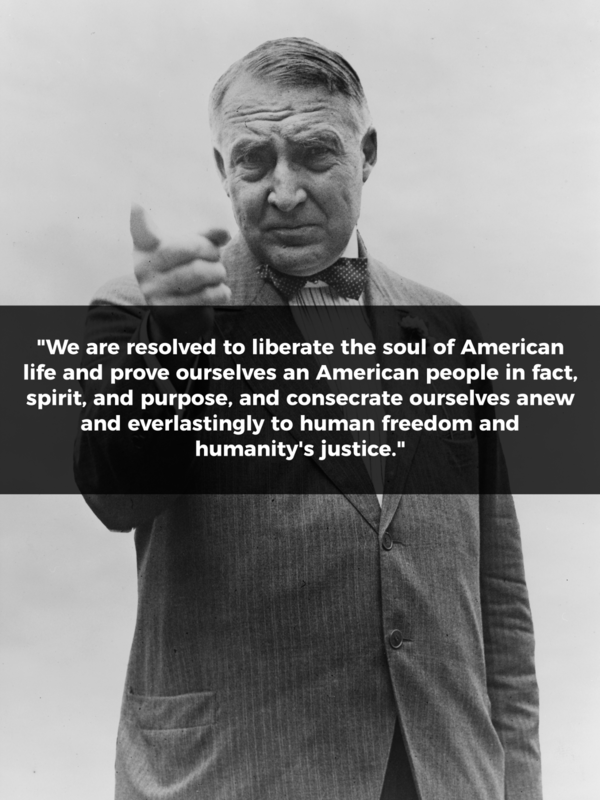 But we cannot have such a world, and we cannot have such a peace, unless the United States has the vitality and the inspiration and the strength. 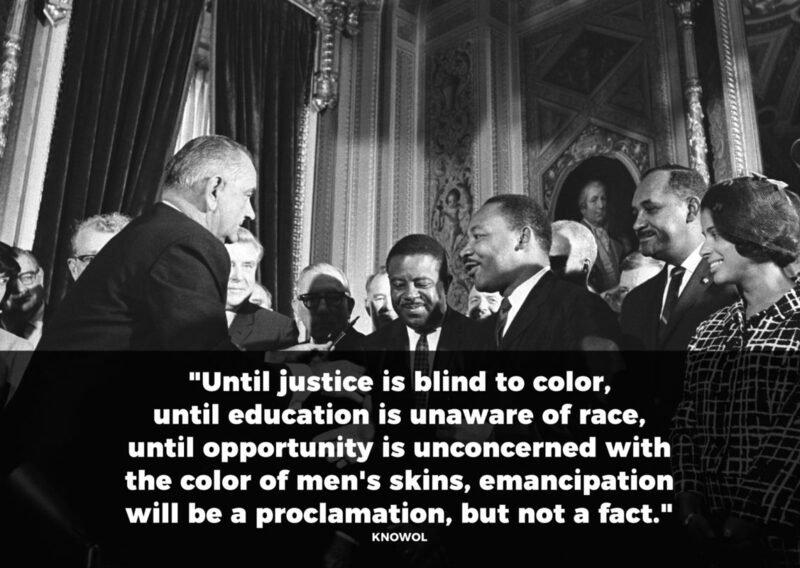 Source: Speech by Senator Kennedy at Convention Hall in Philadelphia, PA on October 31, 1960. 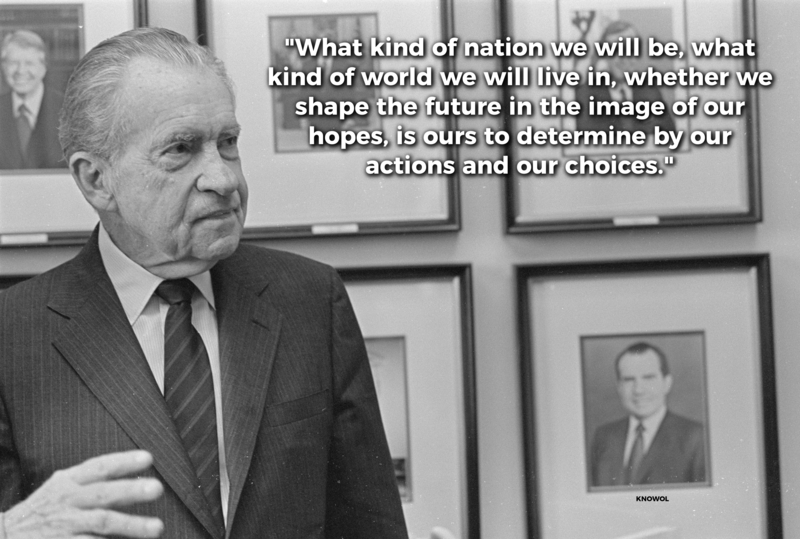 Source: Richard Nixon’s First Inaugural Address. January 20, 1969. 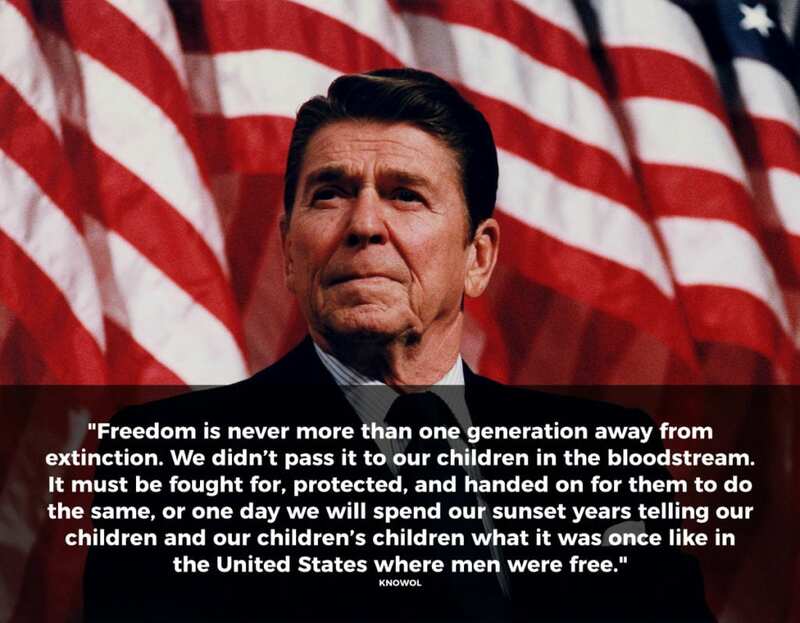 Source: State of the Union Address (January 19, 1975). 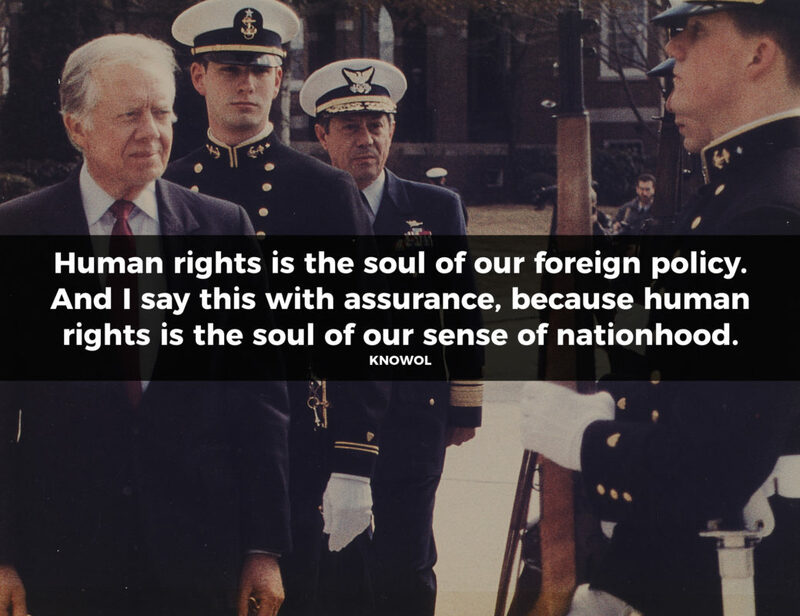 Source: Universal Declaration of Human Rights Remarks at a White House Meeting Commemorating the 30th Anniversary of the Declaration’s Signing. December 6, 1978. 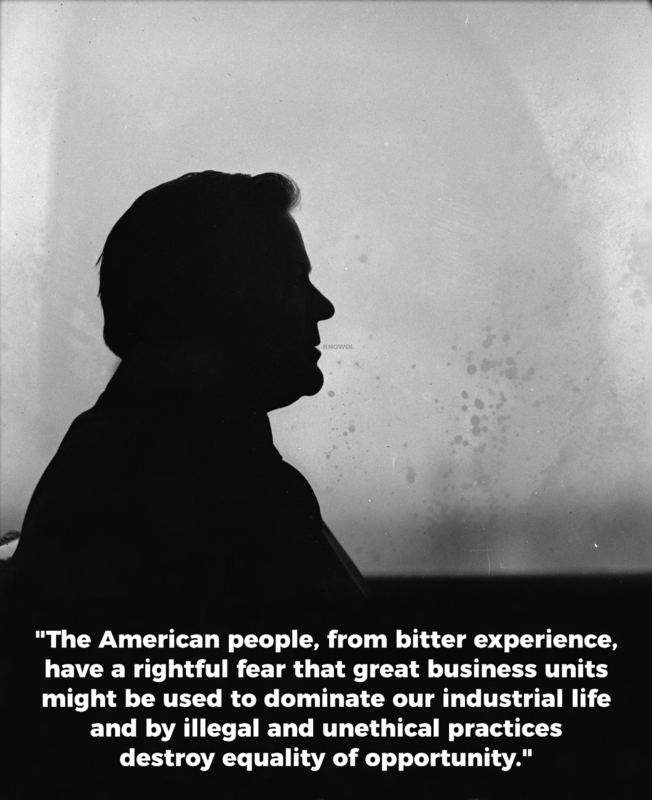 Source: “A Time for Choosing”, Reagan’s Republican National Convention Speech on October 27, 1964. Source: State of the Union Address, Jan. 31, 1990. 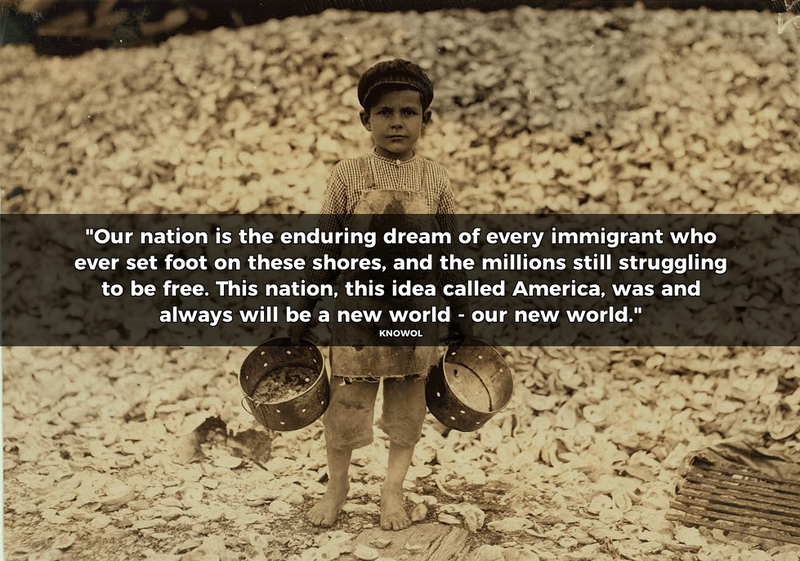 Image: A five year old immigrant boy named Manuel in 1911. He had been employed as a shrimp-picker since he was four years old. Behind him is a mountain of oyster shells shucked by child laborers. He didn’t understand a word of English. “As we marvel at the changes of the last hundred years, we dream of what changes the next hundred, and the next thousand, will bring. And as powerful as our memories are, our dreams must be even stronger. For when our memories outweigh our dreams we become old, and it is the eternal destiny of America to remain forever young, always reaching beyond, always becoming, as our founders pledged, a more perfect union. 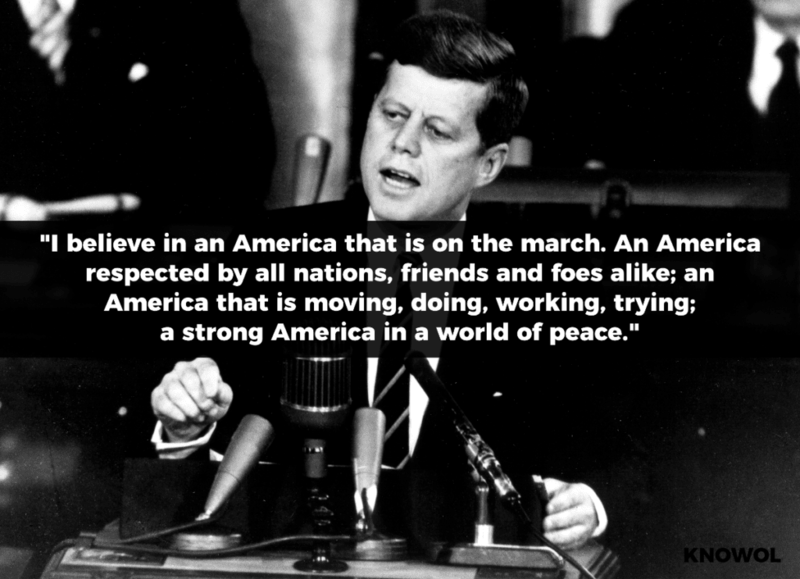 So we Americans must not fear change. 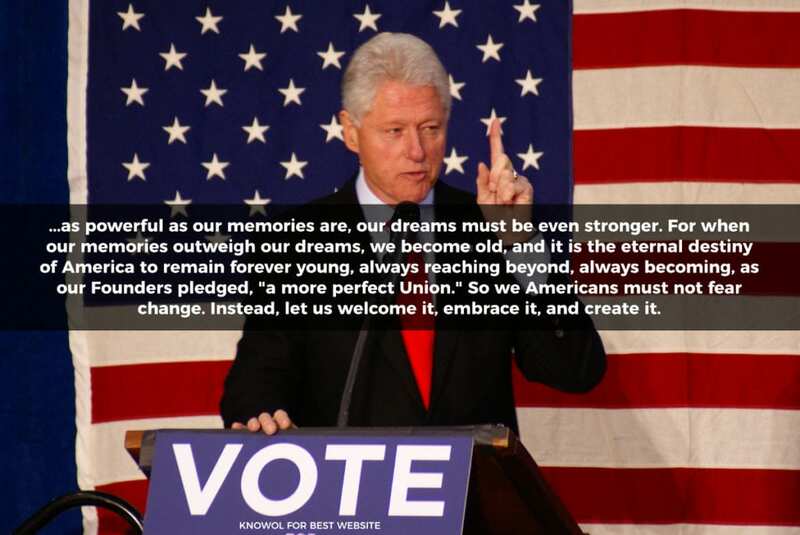 Source: “America’s Millennium” Celebration, December 31, 1999. Picture: Bill Clinton at Manchester Central High School in New Hampshire on November 2, 2008. Photo shared under CC BY 2.0 license by Marc Nozell. 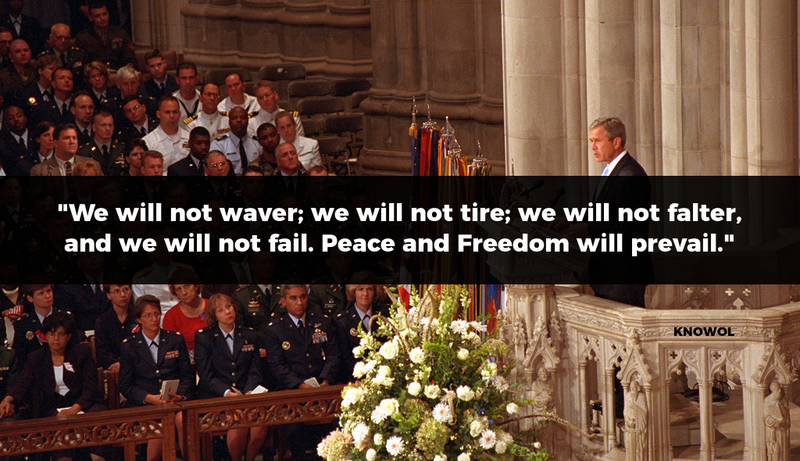 Source: George W. Bush, Address to the Nation, October 7, 2001. 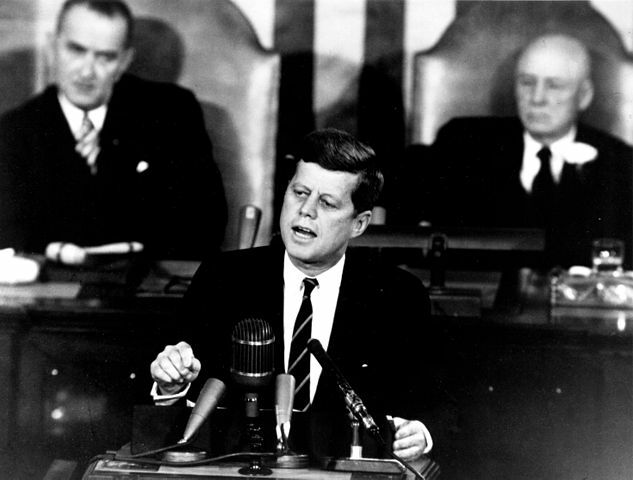 “And that’s what the young people here today and listening all across the country must take away from this day. You are America. Unconstrained by habit and convention. 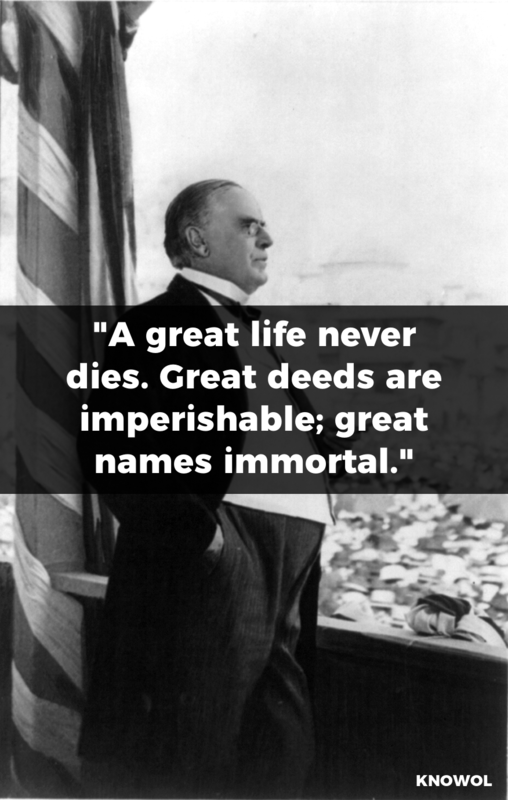 Unencumbered by what is, because you’re ready to seize what ought to be. For everywhere in this country, there are first steps to be taken, there’s new ground to cover, there are more bridges to be crossed. 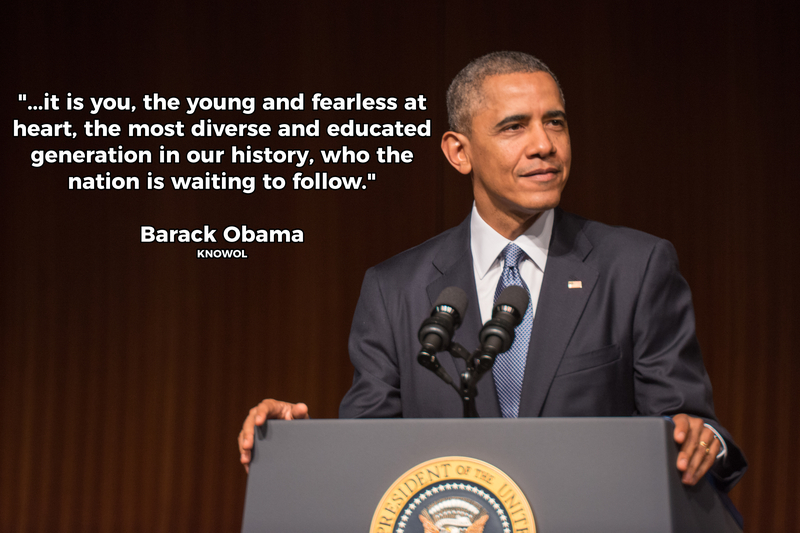 Source: Obama’s Speech on 50th Anniversary of the Selma to Montgomery Marches. March 7, 2015.